Its latest report, entitled ‘People power: How consumer choice is changing the UK energy system’ and published this morning, claims that “political rhetoric” in the UK has failed to catch up with the “rapidly changing reality” that the country’s energy market is becoming more distributed. Citing significant increases in the deployment of distributed generation systems such as solar, as well as the development of other technologies such as battery storage and electric vehicles, the think-tank warns that the landscape is changing quicker than expected, and quicker than politicians can respond to. Of particular concern is how electric vehicles have been left “entirely unmanaged”, with the report citing that six closely located vehicles left to charge at peak time could lead to local brownouts. It goes on to point to emergency steps taken by both the UK market and others to both curtail the pace of change and address its effects, including steps taken in the US states of Hawaii and Nevada to block solar deployment and a perceived bias within the UK’s capacity market in favour of fossil fuel generators. Green Alliance uses today’s report to pitch an alternative to such action, arguing that states should “govern intelligently and actively” to enable “large and small to work together”. And the introduction of aggregators and automation to be used ahead of time of use tariffs that hamper network flexibility. 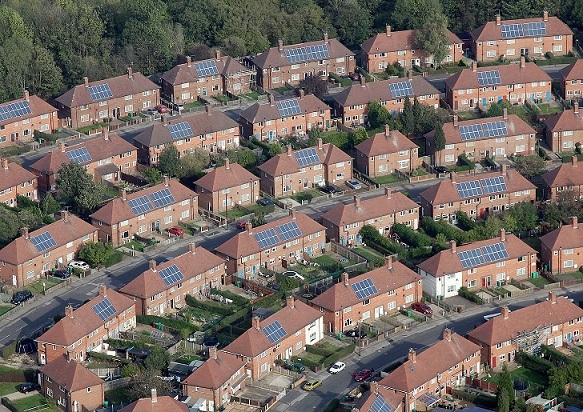 The report has received the endorsement of E.on, which itself yesterday announced the launch of a UK-facing residential solar and storage business unit. Its head of policy development Brian Tilley added: “We’ve adapted our business and now we believe the way the system is governed needs to adapt too. That’s why we welcome this report from the Green Alliance and applaud them in not only asking the right question but also in coming up with answers that point us in the right direction.